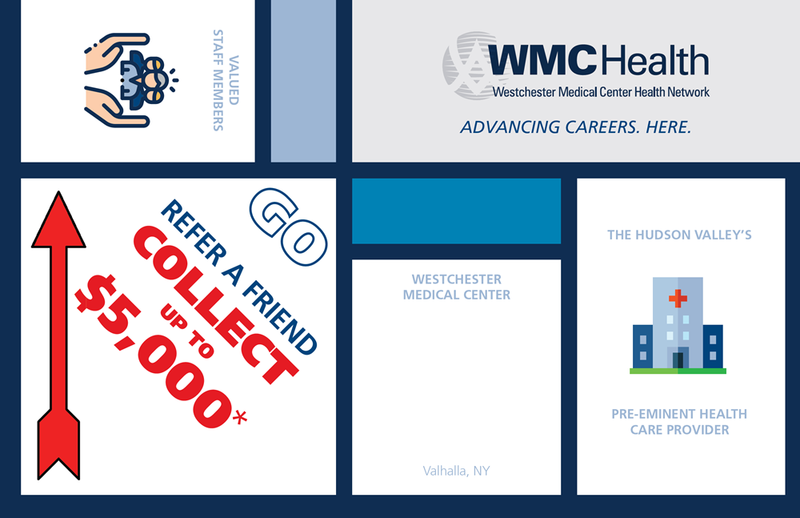 THERE’S NEVER BEEN A BETTER TIME TO REFER YOUR ANESTHESIOLOGIST AND PSYCHIATRIST COLLEAGUES TO WMCHEALTH AND YOU COULD EARN UP TO $5,000. REFER YOUR COLLEAGUES NOW AND PUT SOME EXTRA CASH IN YOUR POCKET. All full time, part time and per diem staff members currently employed by WMCHealth are eligible to receive a referral award for each successful hire who meets the criteria of the program. Human Resources staff members, senior management and hiring managers are not eligible to receive a reward. Supervisors are eligible only when they refer candidates for positions outside their area of responsibility. Referrals must match qualifications and experience levels for the posted position. 1. Eligible WMCHealth referring staff members must be named as “source” by the referred candidates on the application for employment completed during the time frame of the program. Only one staff member can be listed as the source. 2. All candidates must complete an interview with the corresponding hiring manager/department during the time frame of the program. 3. To receive a referral reward, the referring staff member must be a full time, part time or per diem employee in good standing* at WMCHealth for 90 days prior to the award disbursement. The new hire must successfully complete 90 days of satisfactory, uninterrupted employment and be in good standing as a staff member. Both the staff member and referral must be employed by WMCHealth at the time of the award disbursement. Award disbursement is taxed and will be paid out after the new hire completes 90 days of employment. *Good standing defined as a current active employee with no corrective or disciplinary action noted with direct supervisor or HR. Provide us with the following information and start earning rewards now!